I’m sitting by the beach in Puerto Vallarta today. We had not planned to visit Mexico this winter, but the brutal and endless cold changed our minds. Besides, it was Caroline’s birthday yesterday and our anniversary today or tomorrow, depending on how you reckon things when it is not a leap-year. 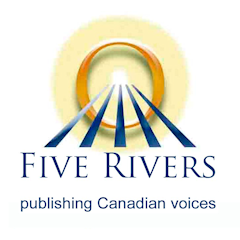 Although we have some time constraints, we found that we could come down for just a few days if we flew on WestJet, making the southbound trip via Calgary on Thursday, and returning directly to Winnipeg on Monday. So Caroline got airline food for her birthday dinner! The trip has been reasonably uneventful – planes were both running about quarter of an hour late. Immigration and Customs in PVR were both free of queues. We were a little too hasty disembarking our taxi at the Hilton, and left our one carry-on bag in the back of the cab. Much gnashing of Caroline’s teeth ensued, but our hotel security chief took us to review the security cam recording, enabling us to confirm that the bag was not lifted from the lobby. A phone call to our WestJet rep resulted in the taxi returning with the overlooked bag (and a manager from the cab company). Reunited with her tablet, her winter jacket and her Ventalin(tm), Caroline’s mood recovered. A few words about the hotel. Sidenote: although I am a regular contributor to Trip Advisor, I do not review hotels there, as Caroline works for a Best Western, and this might give the appearance of bias. So on Trip Advisor, I only review restaurants and attractions. In my blog, I comment on hotels, but I do not grade them. Anyway, back to the Hilton in Puerto Vallarta. Caroline likes that it’s not huge, as she is directionally challenged. If you are looking for a place with vast pool areas and nightclubs, this is not for you. It is an all-inclusive resort, and it is not of the same scale as say, the Riu or the Paladium. The buffet restaurant is more modest, for instance. On the other hand, they have not turfed me for hogging a table near the poolside to set up my tablet and blog. I use a 12″ tablet PC (Asus Slate) with a nearly full-sized keyboard, so I stand out from the herds with their i-Pads. This makes me look like either a serious writer or a serious dork geek. Regular readers of my blog, and there are nearly a handful, will recall that I am prone to going for a walk in the morning. Today, we walked down the main road as far as the Mega store, about half an hour each way. This took us past the Villa del Palmar, a hotel we stayed at once in the past. It has been a long time since this part of Vallarta was in the sticks, but we remember when the Pemex gas station was a temporary facility on a dirt lot with the fuel in tank-stands. I do not have the cable to connect my phone, but I will try to remember to post a picture of the hotel’s driveway. It is adorned with a row of fake golden boulders with just a faintly discernible face engraved on each one. 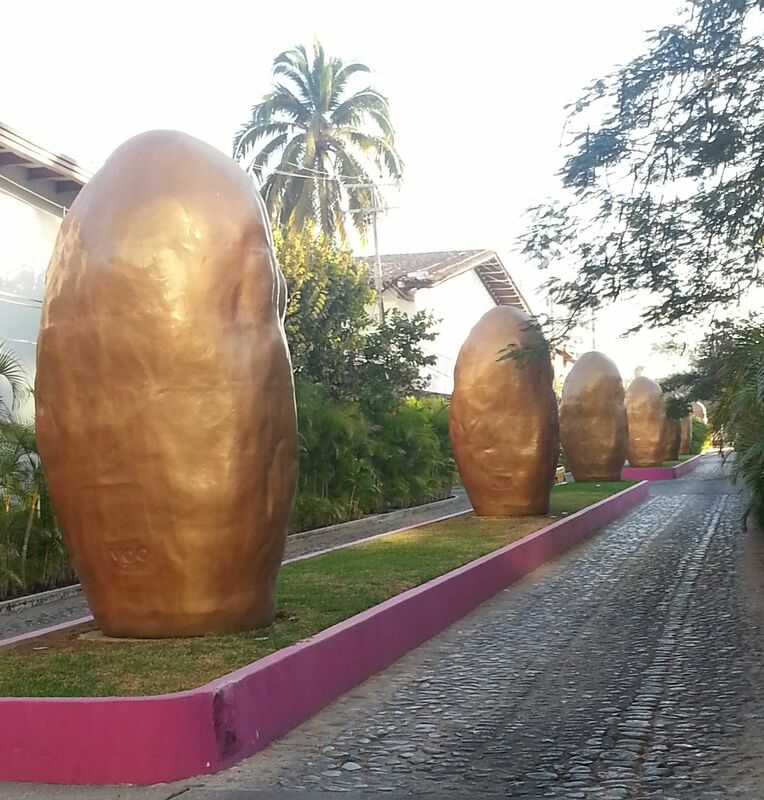 From the back, they look like baked potatoes standing on end, so I have christened the street ‘Avenida de los Papas’. Stand by for more info on the food and wine. I do not have much hope for the latter, as all-inclusive hotels in Mexico usually have to control costs by offering modest Argentine or Chilean house wines (some kind of South American free trade agreement makes it hard for Mexican wines to compete. If only US wines were allowed to undercut Canadian ones like that!) The sushi bar is supposed to be good, and that makes sense given the availability of fresh seafood here, but it makes me marvel at how small the world has become. All food is ‘fusion food’ now. It always was, I suppose, going back to when the Italians adopted tomatoes from the Americas. Apparently the notion that Marco Polo brought pasta back from China is more legend than fact, or I would bang my gavel and rest my case. But hey, Swiss Chocolate – that’s from the new world, too. Yippee! “We’re” on vacation again! Happy Anniversary, today or yesterday. Lol!